Today’s reading comes from the blog of ZanyZigZag, Clinical Psychologist in training and P.G. Wodehouse lover. Her post today touches on subjects close to my heart. I’m not opposed to a bit of positive thinking. Some of my best friends are optimists. My concern is that ‘positivity’ has become a socially desirable behaviour, helped along by claims that it’s good for you. We are encouraged to distance ourselves from ‘negative people’ and ‘negativity’ has been demonised as behaviour to overcome (or at least hush up in society and the workplace). Under the guise of negativity, some very useful and important behaviours — like criticism and complaint — have been demonised too. It’s hardly surprising that these ideas gain traction. They are a gift to governments, employers, and maladjusted spouses the world over. Yes, a world without criticism and complaint would be lovely. But until our world is also free of its problems — violence, injustice and inequality — criticism and complaint remain necessary forces for change. If you’re concerned about wealth or gender inequality, for example, just imagine how things might be if nobody complained. One can hardly be blamed for bouts of pessimism in such a world, and I’m deeply suspicious of the idea that a life of sustained positivity, unbalanced by ‘negative’ thoughts, is a healthy goal to aspire to. As someone who is not one of nature’s optimists, this isn’t something I’m likely to suffer from. I worry and I brood. I fail to spot the bluebird. I feel that until the world is put right, I’m somehow failing in my responsibilities as a human being. For me, and I suspect for many people, P.G. Wodehouse is more than a great writer. His writing has a transformative power –providing bluebirds when bluebirds are in short supply. 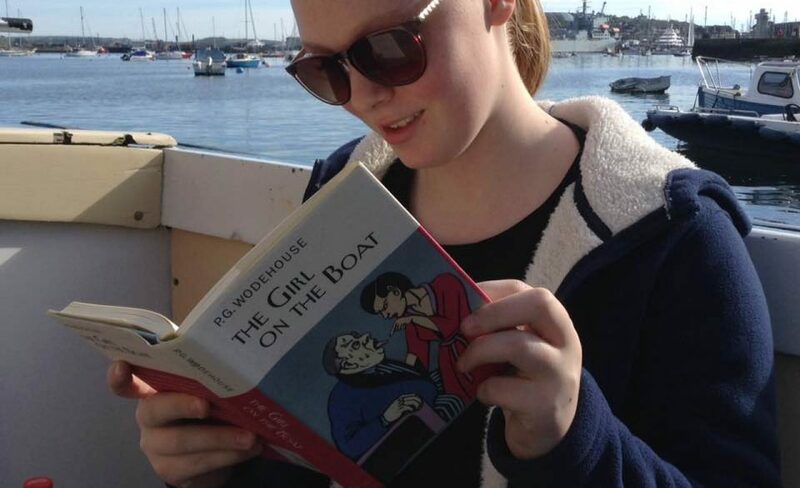 As I said in my recent talk in Seattle on the Psychology of the Individual: for some people, reading Wodehouse is the icing on the cake of a happy life. For others, he is a lifeline. I have been meaning to write a new blogpost for months now, but due to the demands of my clinical psychology course I have been struggling to find the time. The evidence for my plea that this course seems to have taken over my life is clearly illustrated by the fact that even this blogpost has a psychology-related theme to it. It also, however, mentions Harry Potter and Wodehouse, so all is not lost just yet. This post on Wodehouse's portrait of an ideal man struck a chord with me. Hope it strikes you too... in a thoughtful sort of way that is, not roughly, like a stuffed eelskin from behind. What’s up with you today? Nothing — now that I’m reading Wodehouse. Continue reading What’s up with you today? Nothing — now that I’m reading Wodehouse. Victoria Madden has written a lovely piece about discovering Plumtopia (and Ashokbhatia ) at her Moulders Lane blog. I was so delighted, I had to share it here. If you can read it whilst sipping tea on the lawn, even better. I got into blogging almost by accident: I was writing a book and it occurred to me – I still don’t know how, I’m a complete techno-idiot – that putting my ideas online would help me get a better perspective on what I was writing. After many diversions I ended up with three, inter-related blogs: one of which you are now reading. When someone actually posted a (very nice) comment on an article I’d written here that mentioned P. G. Wodehouse, I had a feeling of slight alarm. I spent two or three months looking at it doubtfully, then took the plunge and rather gingerly added it to my post. More time passed. Survey: Who reads P.G. Wodehouse in the 21st Century? Continue reading Survey: Who reads P.G. Wodehouse in the 21st Century?